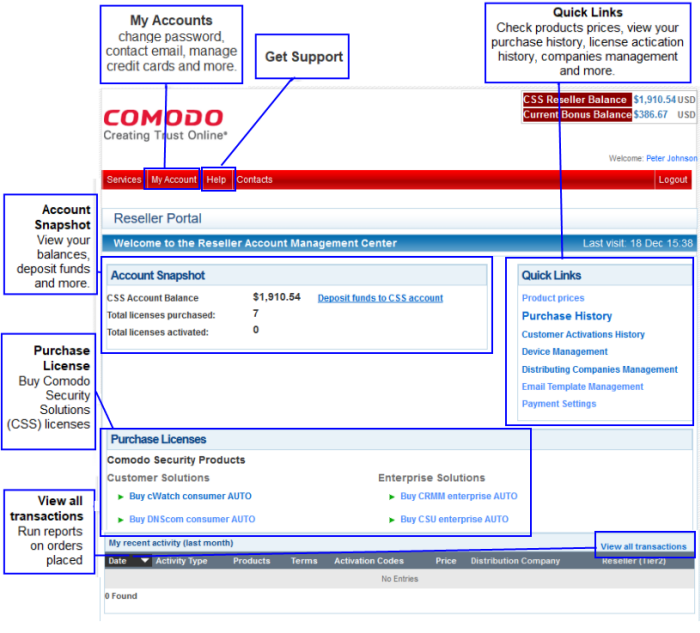 The Comodo reseller program lets you generate long-term revenues by reselling Comodo's proven range of security and productivity solutions. 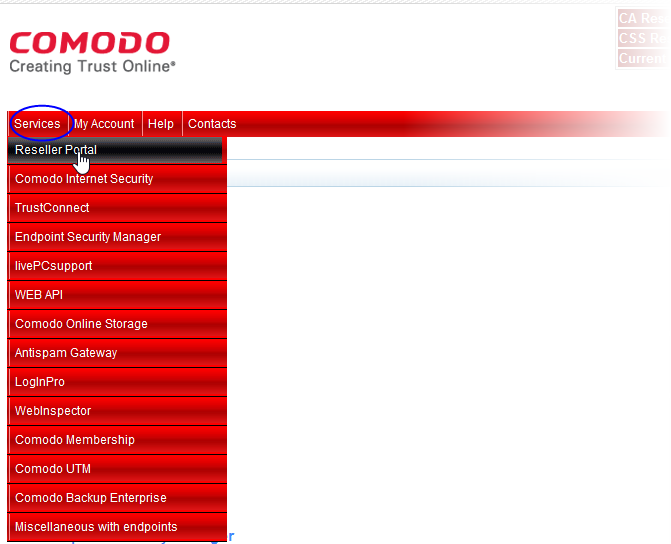 The first time you log into CAM you will need to agree to the Comodo Security Solutions license agreement. After logging in, you will be taken to the reseller portal. Click 'Services' > 'Reseller Portal' to return to this page at anytime.